Consider this your ultimate guide for everything ‘Bitcoin mining’ – from what BTC mining is, to how you can mine Bitcoins, all the way to how to join a BTC mining pool, we’ve got you covered. Simply put, Bitcoin proposed (and quickly adapted to become) a viable payment alternative to the traditional, centralized and trusted financial institutions and mechanisms executing everyday financial transactions. It’s extremely important to familiarize yourself with the history of Bitcoin, it’s controversial fork into Bitcoin and Bitcoin Cash (which has subsequently forked into BCHABC and BSV), several commonly used terms, and why it is at the forefront of the blockchain ecosystem and P2P transactions. Doing so will ultimately enable you to better understand the below concepts and ideas. Also, remember that the Blockchain SEO Guide to Mining Bitcoin is strictly educational and should be used as a starting point for those interested in learning about Bitcoin mining and exploring it further. Do not take this guide as doctrine, as it is a simplified version of some complex concepts, and we always recommend you do your own research. If you’re looking to mine Ethereum, look no further. We’ll be releasing a comprehensive guide on how to mine Ethereum, Ethereum mining profitability, it’s Constantinople fork, and ultimate transition to Proof-of-Stake (PoS) in an upcoming article, so stay tuned! Furthermore, if you’re wondering about what Bitcoin is, how it differs from Bitcoin Cash and Ethereum, and how to properly store it, check out this breakdown of Bitcoin by Daniel Frumkin and our past guide to the best Bitcoin hardware wallets. Now, let’s take a look at what Bitcoin (BTC) mining is and how you can start mining BTC. The Fundamentals: What is Cryptocurrency Mining? Bitcoin Mining Explained: How Does Bitcoin Mining Work? Is Mining Bitcoin a Waste of Energy & Power? Bitcoin Mining Pools: How Can I Join One? Cryptocurrency and Bitcoin mining is an effective and legitimate option for users looking to contribute a portion of their CPU and GPU space in order to verify and facilitate transactions on a blockchain network in exchange for mining rewards (ex. BTC, BCH, etc…) However, mining Bitcoin and other cryptocurrencies should be approached with a comprehensive and well-thought-out gameplan, otherwise you risk incurring exorbitant costs for rewards that just aren’t worth it. 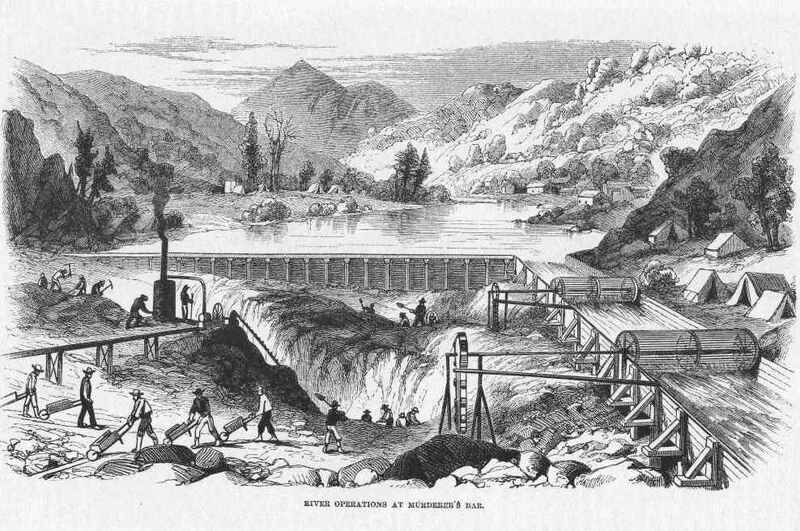 Drawing its name and inspiration from the mid-1800s California gold rush, cryptocurrency mining is today’s technological equivalent – where instead of miners armed with pans and shovels sifting through dirt and rock, users (miners) are contributing a portion of their GPU and CPU space to earn a slice of digital gold (cryptocurrencies). So, how exactly do users contribute their GPU and CPU space to mine cryptocurrencies? Simply put, users mine cryptocurrencies through a consensus and economic measure known as Proof-of-Work (PoW). Proof-of-Work refers to a consensus mechanism whereby blockchain networks are guarded and protected against abuse, spam, attacks, and other vulnerabilities. But how? Blockchain network actors, also known as miners, perform realizable mathematical computations and calculations (known as “hash puzzles”) to verify and validate information and transactions on the blockchain network. These hash puzzles are compiled into what is referred to as a “block” – or a collection of mathematical computations which need to be solved to secure information. In exchange for solving blocks, and subsequently broadcasting their mining completion across the network (to uphold integrity and transparency), miners receive a reward (ex. BTC, BCH, ETH). Naturally, as a blockchain network grows and expands, accepting more users and information, the mathematical computations and blocks adapt – becoming tougher to solve. When blocks become harder to solve, this ultimately requires more “hashing power” utilized by a miner and their rig to successfully mine the block (something we will address in following sections). Denial of malicious attacks, spam, an other vulnerabilities. Miners are the very actors who make the gears of an ever-growing and complex network turn, as they contribute their computational resources and Bitcoin mining GPU/CPU space to solve blocks. Furthermore, they verify and validate the legitimacy of the network’s transactions and information, while making sure the network is decentralized (meaning there is no central, vulnerable, trusted third-party controlling its functions). So, what are some examples of the “mathematical computations and puzzles” Bitcoin miners solve? Let’s take a quick look. The Bitcoin Network follows Proof-of-Work for its consensus mechanism, so now let’s turn to how exactly Bitcoin mining works. Blockchain SEO Cryptocurrency Security Tip: Before selecting a cryptocurrency exchange or platform to purchase Bitcoin or other cryptocurrencies on, make sure to conduct proper research and due diligence. Look to see if the exchange has been the victim of any malicious hacks in the past, whether it supports two-factor authentication (2FA) when signing in, and its trade volume and liquidity. Above is an excerpt from the Bitcoin whitepaper, which explains the immutability of a block after Proof-of-Work. Simply put, the network cannot be “rolled back” and otherwise compromised. While reading this, it’s extremely important to understand that Bitcoin and Ethereum are completely separate blockchain networks and beasts, and both boast their own respective tokens (Bitcoin – BTC, Ethereum – ETH). They also support different hashing algorithms. Bitcoin mining is very similar to what we described above, and refers to the process of keeping Bitcoin’s blockchain network stable, whole, and immutable, through the solving of blocks (compile hashes and transactions). Successful miners who find and solve the computations and blocks the fastest, are then rewarded with newly minted Bitcoins and transactions fees. Most notably, “the system is secure as long as honest nodes collectively control more CPU power than any cooperating group of attacker nodes.” If you’re curious about some of the potential risks and threats centralization poses to the Bitcoin Network, check out this article by Bitcoin.com. So, why do we need an effective and identifiable timestamp? By timestamping the network, its protected against a common issue of double spending – whereby money is spent more than once and opens the network to potentially abusive and malicious attacks. The Bitcoin Network protects users from the double spending issue (and ultimately fraud) by waiting for confirmations when conducting transactions. As each transaction is confirmed, it becomes more immutable and irreversible. Furthermore, Bitcoin’s Proof-of-Work implementation cures the issue of majority decision and representation on the network. For example, if the majority of Bitcoin miners and users were concentrated into one IP address, it could potentially fall victim to persons looking to allocate unfathomable numbers of IPs. Proof-of-Work sanctions “one-CPU-one-vote,” where honest network actors and chains are rewarded. This ultimately leads to a positive driving force and direction of the network. Blockchain SEO Storage Tip: When storing your cryptocurrencies and altcoins, it’s essential that you authorize two-factor authentication (2FA) when logging in. At Blockchain SEO, we recommend downloading Google Authenticator – a time limiting mechanism an application which creates time-sensitive codes for users to input. Doing so cuts down on the time a malicious user or attack has to access your account and holdings. On the Bitcoin Network, every 2,016 blocks (roughly 14 days at 10 minutes/block), Bitcoin’s difficulty target is modified base on the network’s performance and transactions. Ultimately, Bitcoin’s utilization of Proof-of-Work consensus makes the likelihood of significantly modifying and changing the blockchain quite difficult. It’s important to note that after mining your first bit of Bitcoin (BTC), you’re going to need somewhere to send it. Cue, a Bitcoin wallet. Understand that Bitcoin and cryptocurrency wallets are not similar to traditional wallets (which might pop into your mine), as they are not a physical object or place to store Bitcoins. Instead, they are your access to the blockchain transaction ledger, and store a HODL’ers digital keys and private information. It can be tricky choosing the best Bitcoin wallet to send rewards to, as some wallets in today’s crypto-sphere actually (an explicitly) prohibit against sending mining rewards to their wallets. What does this mean? Should you have your hard earned BTC sent to one of these online wallets, you risk having it never actually show up. And, if you think it’s just a few wallets that warn against having your Bitcoin mining rewards sent to them, you’d be wrong. Even Coinbase, one of the most popular cryptocurrency purchasing and trading platforms out there, states that they are not able to receive BTC and cryptocurrency mining rewards. Additionally, while it may seem like your best bet is to have your BTC an crypto mining rewards sent to a hardware wallet (ex. Trezor or Ledger), hardware wallets and cold storage should only be use for long-term storage – not a place to send daily or weekly mining rewards. At Blockchain SEO, we recommend first having your mining rewards sent to an online Bitcoin wallet, where you can then consolidate and accumulate larger amounts of BTC. Then, we recommend sending it to cold-storage. Well then, which Bitcoin wallets should I be downloading and sending my Bitcoin mining rewards to? In this section, we’re taking you three of the best Bitcoin wallets to send your BTC mining rewards to. While geared towards seasoned Bitcoin and cryptocurrency users alike, the Bitcoin.org Bitcoin Core wallet is a must-use wallet for miners looking for a place to sen their BTC mining rewards to. Touted as the “original an official” Bitcoin wallet, the Bitcoin Core wallet is perfect for users looking for high levels of security, stability, an privacy, as it sanctions users to exercise full control over their funds and fees. It also supports full validation of the Bitcoin Network, which means that users no longer need to rely on a third-party or service. Note that full validation of the Bitcoin Network may utilize large amounts of storage space. Furthermore, the Bitcoin Core wallet is relatively technical, so if you’re a newcomer to Bitcoin and Bitcoin mining, we recommend one of the below wallets. However, once you become acquainted with the network and the use of several other wallets, we recommend trying out the Bitcoin Core wallet. Endorsing itself as the “secure, shared Bitcoin Wallet,” Copay is an open-source HD-multisignature Bitcoin wallet produced by BitPay, which enables BTC users and miners to take security into their own hands through the elimination of a trusted third-party. What’s distinctive about the Copay Bitcoin wallet is that it may be used in the same manner that one uses a joint-checking account – whereby several users may use it to approve transactions. It’s a perfect wallet for sharing funds with friends, family members, and coworkers. It’s also a great starter wallet for when you’re looking to introduce a family member or friend to Bitcoin. Finally, when sending crypto to a payment protocol-enable merchant, you can sleep tight knowing that Copay is securely verifying the payment is being sent to the correct person/merchant – meaning, the Copay wallet isn’t just a great wallet for sending your BTC mining refers to, it’s also a great wallet for everyday functionality and use. There’s no surprise as to why the Blockchain.com Wallet is one of the most trusted cryptocurrency wallets in the blockchain ecosystem, as it boasts over 29 million wallets and $200B transacted in its tenure. Furthermore, it doesn’t hurt that they support some of the lowest fees in the crypto industry, making it a popular pick for Bitcoin and cryptocurrency miners looking for a wallet to have their BTC mining rewards sent to. And, it’s available for Android, iOS, and the Web, sanctioning users to access their funds from anywhere across the globe. As the wallet’s custodian, you’ll have complete control overy our crypto funds, and there’s numerous protective measures in place to protect against third-party/malicious attacks (2FA, backup phrase, email verification, etc…). If you’re a Bitcoin mining novice (and wallet novice), we highly recommend starting off by downloading the Blockchain.com Wallet – as not only is it simple, quick, and easy-to-use, it also boasts an aesthetically pleasing interface. Once again, if you’re looking for a comprehensive guide on the best Bitcoin hardware wallets to store your BTC, check out our past article here. Now that we’ve taken you through the fundamentals of what cryptocurrency and Bitcoin mining is, let’s turn to how to actually mine Bitcoin (BTC). Blockchain SEO Crypto Storage Tip: Think of hardware wallets and cold storage similar to your savings account, where you only touch it in rare instances. It’s for saving after all. Hot and online wallets should be viewed similarly to your checking account, as you’ll likely be moving funds around quite often. Furthermore, hardware wallets can be thought of as your own personal safe. From the above chart, it’s clear that Bitcoin’s block difficult has significantly increased since mid-2017, which has ultimately led to lower Bitcoin payouts for miners and a more competitive mining environment. As we noted above, Bitcoin’s block difficulty has substantially increased over the last year and a half, which has deterred quite a few people from pursuing mining. However, mining may still be a profitable venture – you just need to make sure you develop a sound and comprehensive mining gameplan. Before we get into the mining profitability of Bitcoin and the estimated returns you can expect, let’s take a glimpse at several fundamental issues which have plagued Bitcoin miners over the years. Electricity Costs: Of course the miners with the lowest electricity costs stand to make more on their return, and have a notable advantage over miners paying exorbitant energy prices. While currently a country of great political issue, Venezuela supports some of the lowest electricity costs in the world (coming in at roughly USD $.06 per 320 kw electric bill). Because of the low energy prices, Venezuela has become an extremely attractive option for professional miners and million dollar companies looking to dominate the Bitcoin and cryptocurrency mining markets. Increased Competition: While it started off as a tool for hobbyists and recreational enthusiasts to help support crypto projects in turn for a reward, Bitcoin mining has taken a drastic turn over the years. Now, we’ve seen the rollout of professional miners and million dollar (some even value at $14 billion at one point) companies making up the bulk of the market. As such, we’ve seen increased competition on all fronts in the mining world, and the little-guy having a much tougher time turning a profit. Hardware Costs: This is probably the most obvious expense associated with cryptocurrency and Bitcoin mining, as it’s an essential. With the increased competition and “players” in the mining ecosystem, mining rigs and hardware have increased significantly in costs. 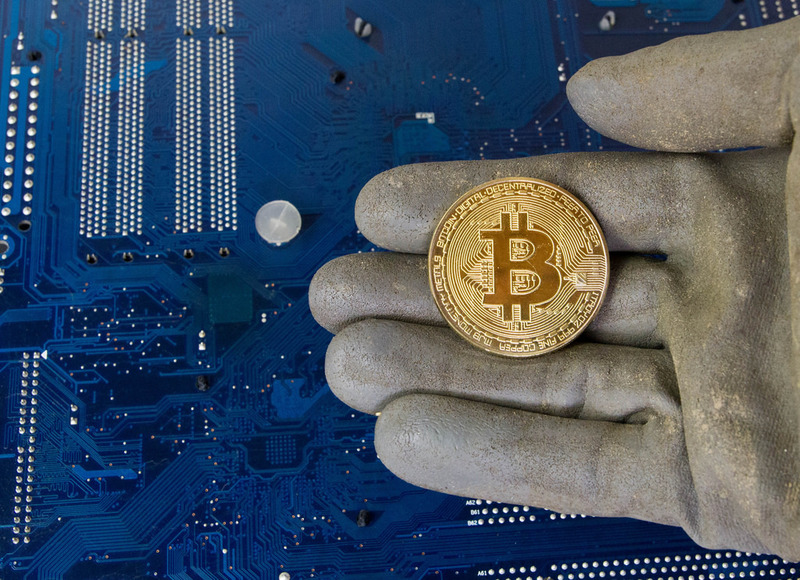 As we’ve touched on in this guide, mining Bitcoin is not as profitable as it once was, but it still is a viable option – if done correct and methodically. We recommend heading on over to one of the countless Bitcoin profitability calculators to input your Bitcoin mining rig’s hashrate, power consumption, and cost per kwh. Doing so will give you a good idea of just how much you can expect to earn (or even lose) per day, month, or year when mining BTC. Sit back and get your results. Or, we recommend heading on over to CryptoCompare.com to enter your mining rig’s hashing power, cost per kwh, power consumption, and mining pool fees to get a better understanding of your profit ratio per day and profit per month. We recommend taking some time to play around with the different numbers and inputs on CryptoCompare.com in order to gain a comprehensive understanding of whether it’s worth your while to mine BTC with your current/prospective BTC mining rig. It’s extremely crucial to understand that the United States isn’t exactly a mining haven for cryptocurrency miners and electricity costs, as you’ll likely find yourself paying about USD $.10 per 1000 watts/hour. If you’re interested to see how your country ranks on the list of most expensive and cheapest countries to mine Bitcoin, check out this map by the Bitcoinist. At the date of the article’s publish, Venezuela came in at the cheapest country for mining Bitcoin and electricity costs ($531 spent per mined BTC), while South Korea was the most expensive (at $26,170). Just know that Bitcoin and other cryptos do experience daily fluctuations in their price, and in the mining difficulty, may be hard to account for when outlining a plan for profitable Bitcoin mining. Accounting for variance and volatility is an essential. While purchasing or building a BTC mining rig may seem like a sure thing for making money, it’s far from it. Bitcoin and Ethereum mining rigs are considered to be depreciating assets. So know that you could be risking losing money on power and electricity costs, AND ending up with a huge, burnt-out CPU or Bitcoin mining GPU that you’re unable to get rid of (sell) after. Head on over to Amazon.com to check out the numerous new and second-hand mining rigs which are being sold. Doing so will give you a good idea of just how much (or how little) your rig may be worth after a year or two of mining. At the end of the day, it’s up to you to crunch the numbers and determine whether mining Bitcoins is worth the squeeze for you. And, always make sure you’re never investing more money in mining and cryptocurrencies than you’re comfortable losing. Let’s take a further look. While cryptocurrency and Bitcoin mining initial began as an outlet and means for crypto hobbyists to contribute to projects and networks, it has since morphe into a billion dollar industry – one where companies and organizations are constructing mining rigs by the truckload. As such, purchasing Bitcoin mining rigs has become the most popular option for persons looking to mine Bitcoins. However, that’s not to say that constructing your own mining rig isn’t an option. Just, in an era of immediacy and convenience, the consumer seems to heavily favor purchasing. This section should be taken as an introduction to just several of the components you’ll need when constructing your own Bitcoin mining rig. There are far more comprehensive guides out there, so we are just trying to lay the framework, by providing you a list of resources where you can dive deeper. A Frame For the Rig: Mining experts often suggest using an aluminum mining rig frame, as they are typically more sturdy and rigid than wood. Furthermore, they aren’t flammable, and are sufficient conductors of electricity. The Motherboard: A motherboard should be able to support roughly 4 to 8 video cards, and should at minimum have 4 PCI-E ports. You can fin a list of some of the best mining motherboards over here – https://www.techradar.com/news/best-mining-motherboards. Most of the motherboards in the article are right around the USD $75-$100 range. However, if you’re looking for a mining rig “looking to pull double duty” with gaming as well, a motherboard could run you upwards of $500 (ex. Asus ROG Strix Z270E). RAM: RAM does matter for Bitcoin mining, however note that the overall quality is not as pressing as some other components. At minimum, 4GB is needed, with the most common being around 8GB for a system running Windows. Furthermore, the speed of your OS drive isn’t crucial for crypto and Bitcoin mining, so if you have a spare (or old) hard drive available, that’ll be sufficient. You can find a cheap single DDR4 4GB DIMM for around $50 on Amazon. Power Supply: The component that incurs the most wear and tear and takes the most stress during the mining process is the power supply. While it might seem like a good idea to use a low-capacity PSU, it can lead to disastrous results. So, you’ll be needing a super-reliable power source. Some power supply sources include the Energmax MaxTytan 1250W and the EVGA 1600 T2. Furthermore, you can find a list of the best PSUs over at this article by TomsHardware. Video Cards: Bitcoin mining GPUs, also known as graphics processing units, might be the single most important part of your crypto mining rig. Both AMD and Nvidia are popular choices, and differ in power consumption an hashrate – something you should make sure to explore. Storage: A Bitcoin mining rig’s hashing power isn’t generally influenced by the speed and size of its storage device. Usually, any hard drive with a 50GB capacity should be good. Second hand hard drives can be bought for around $15. Most items can typically be found at your local computer store. However, for anything else that you’re unable to find, we recommend checking out Amazon or eBay. Building one’s own Bitcoin mining rig could run you anywhere from USD $1500-$4000, depending on whether you decide to go “all out” or not. If you’re serious about building your own rig, we recommend checking out the following article, which gets into things even further. If you aren’t in the mood to construct your own mining rig from scratch, purchasing a pre-assembled Bitcoin mining rig is likely your best option. We recommend on heading over to CryptoCompare.com to check out what a Bitcoin mining rig will cost you these days – along with its estimated “payback period.” For example, this Pangolin Bitcoin mining rig is set to run you about USD $1595, and boasts an estimated payback time of NEVER – meaning you can expect to earn (well…lose) about $-.90 per day, or $-27.90 per month, or $-339 per year. Us (Blockchain SEO) posting a BTC miner that is in the negative (at the moment) isn’t to discourage you from mining Bitcoin. This is one that isn’t netting profit per se, but does stand to appreciate in the future if Bitcoin’s price makes another run. And, just remember that Bitcoin and cryptocurrency mining rigs with higher hash rates will solve blocks at a far superior rate to that of lower hashrate mining rigs, however they will cost more and use more power/electricity. Make sure to account for this when determining the mining profitability of Bitcoin (and your overall bottom line). Once you’ve nailed down your Bitcoin mining rig and hardware, you’re going to need to install the requisite software for mining. Understand that the actual BTC mining is executed by the hardware, while the software is what connects you to the Bitcoin blockchain and network. Specifically, Bitcoin mining software is the “connection” and “bridge,” which delivers the PoW work to the Bitcoin miners, and receives their completed work. The information and completion is then relayed to the blockchain, or a mining pool. Software also helps monitor general statistics which surround the overall BTC mining process. It can display everything from the fan speed, to the medium speed of all BTC miners, all the way to the hashrate. CGMiner: one of the most popular Bitcoin mining softwares out there. CGMiner supports countless features, such as fan speed control, CPU and Bitcoin mining GPU support, self-detection of new blocks, and more. EasyMiner: a simple and easy to use UI for Bitcoin miners. Notably, it can be used for both solo and pooled mining. It makes mining Bitcoin and other cryptocurrencies extremely simple, and boasts visual graphs of mining performance and activity. BFGMiner: Similar to CGMiner and a modular ASIC/FPGA miner written in C, BFGMiner supports dynamic monitoring, clocking, and remote interface capabilities. For a comprehensive guide to Bitcoin mining software, check out this article by Bitcoinmining.com. Let’s take a look at how to sell your Bitcoin for fiat! If you’re a Bitcoin miner, then you likely fall into one of the following 3 categories: (1) a Bitcoin miner for profession and profit, (2) a recreational Bitcoin miner, or (3) somewhere in the between. Either way, there’s a decent chance you’ll want to sell off a certain percentage of your Bitcoin mining rewards for fiat (USD, GBP, SGD). Should you decide to sell off a percentage of your BTC mining rewards for USD or other fiat, it can sometimes be a daunting task to find a reputable exchange or website to securely and safely sell it. Think about it, there’s plenty of Bitcoin and cryptocurrency miners who earn their living through the rewards they generate mining – using it to cover their food, rent, and other necessities. Without an actual place to sell off their BTC rewards, mining likely wouldn’t have ever risen to the level it is at now – a possible profession or means for side income. Below are three exchanges and platforms we recommend for selling off your Bitcoin mining rewards for fiat. Even if you’re a newcomer to cryptocurrency, there’s a good chance you’ve heard of San Francisco-based cryptocurrency platform Coinbase. Not only is Coinbase an attractive option for Bitcoin miners in the US looking to sell their BTC rewards for fiat, they also operate in over 190 countries (with fiat support in over 32), so there’s a good chance your country is covered. As one of the largest and most mainstream of crypto platforms for purchasing and selling BTc and Ethereum, Coinbase had a meteoric rise since its inception – catapulting to over 1 million users by 2014, and 13 million as of 2018. Furthermore, they generate over USD $1 billion in revenue per year, so you likely don’t need to fret about having your order filled. Finally, Coinbase is an extremely simple and straightforward platform to use, and they support an aesthetically pleasing US, easy deposit and withdrawal options, mobile and web wallets, and increased token support. Just know that when selling your BTC, ETH, and other cryptos on Coinbase, you’ll be facing a nearly 1.5% transaction fee. According to their website, LocalBitcoins.com is the “fastest and easiest way to buy and sell Bitcoins,”. Specifically, it’s an online platform and service for the OTC (over the counter) trading of BTC for local currencies. For example, a LocalBitcoins users will create an advertisement for the BTC they are looking to sell, establish set exchange rates and payment options, and then be matched with a potential BTC buyer. What makes LocalBitcoins.com an extremely reputable and secure site to use for selling BTC is that is boasts a feedback and reputation mechanism for users to rate one another, and a conflict resolution and escrow service. This isn’t small-scale either, as it handles the trading of up to 3,000 Bitcoins every day, with over 110,000 active Bitcoin traders. So, if you’re a casual Bitcoin trader (or professional) and seeking a private way to convert Bitcoins to fiat, then LocalBitcoins is likely right up your alley. Furthermore, they facilitate the purchase and sale of Ripple (XRP) as well. Kraken Exchange has put in the time and effort over the years, making it an extremely well known and reputable cryptocurrency exchange. Most notably, they’ve offered to assist in the recovery of funds from the Mt. Gox hack and the recent QuadrigaCX mystery. Furthermore, Kraken Exchange is the largest Bitcoin exchange for Euro liquidity across the globe, and they’ve made a name for themselves as an extremely transparent, customer-attentive team. They also support numerous fiat pairings, such as USD, GBP, JPY, CAD, and of course EUR. Signing up for Kraken is an extremely simple and hassle-free process, with users only needing to clear their Tier 1 verification before being allowed to deposit and subsequently trade. When clearing Tier 1, users need only provide their name, date of birth, residence, and telephone number. After creating an account, all that’s left to do is generate your BTC address, and convert it to any of the fiat pairings listed above. However, in order to withdraw your funds from the Kraken Exchange, you’ll need to pass their Tier 3 verification, which requires a user provide proof of their government issued ID, social security number (for US residents only), a utility bill, and confirmation photograph. Using Kraken Exchange can be advantageous for traders who are active and moving large volumes, as their withdrawal fees are calculated based on a users maker/taker status and thirty-day trade volume. This can lead to anywhere from 0% to .25& in fees. While Bitcoin mining has drawn criticism by a fair number of environmentalists as a complete waste of energy and rain on power costs, it’s just a small price we have to pay at the moment to operate and validate a decentralized network. Just like traditional and mainstream payment services and processors, Bitcoin generates processing fees and costs – for essential services across the globe. Keep in mind that while Bitcoin has been in the hot seat for consuming large amounts of power and energy resources, it’s total energy consumption is transparent and easily measurable – as opposed to the energy use and resources exhausted by traditional payment services, institutions, and mechanisms. If you’re curious about exactly how much electricity and power the Bitcoin network uses, check out this Digiconomist.net article for statistics. For example, Austria is the most comparable country to Bitcoin in terms of energy consumption. Additionally, the article estimates that the number of U.S. households that can be powered for 1 days by the electricity consume in 1 Bitcoin transaction is 29 (29 households). While there are some serious issues to work out in respect to Bitcoin’s energy consumption and exhaustion of resources, it is a constantly evolving industry – one that is always striving to improve and overhaul itself. With blockchain and cryptocurrency’s massive push for mainstream adoption and use, it’s only natural that mechanisms and services for novices will follow suit. In this section, we’re going to walk you through one of the best resources for mining BTC for free. Honeyminer is a great application and software to use for those new to cryptocurrency and Bitcoin. It provides an opportunity for inexperienced HODL’ers to mine BTC with their laptop or PC. If you’re looking to mine Bitcoins and BTC for free, without ever having to purchase or construct your own mining rig, look no further. Honeyminer is a simple and accessible software for anyone looking to mine Bitcoins for free with their PC or laptop. When first signing up, Honeyminer gives users and novice miners 1000 Satoshis (roughly USD $.07). Specifically, it utilizes a proprietary cryptocurrency mining algorithm which identifies the most profitable cryptos to mine at present, and then converts it to BTC. Users are free to withdraw anytime they want as well. Honeyminer is the perfect starter kit for users looking for free Bitcoin mining online, as it actually boasts better payouts than most BTC faucets. To calculate your potential earnings with Honeyminer, head on over to their website, where you’ll be able to see estimated payouts (based on yearly Bitcoin growth rates). Keep in mind that computers with several graphics cards will earn more BTC. It’s also important to note that mining on your laptop may exhaust serious power resources, and ultimately cause it to depreciate in value. If you’d like to read up about Honeyminer and how to mine Bitcoins for free further, head on over to their website and brush up on their FAQ. If you’re wondering how to join a Bitcoin mining pool, look no further. In this section, we’re taking you through some of the best Bitcoin mining pools in all of crypto, the various reward schemes you can expect, and what multipool mining is. Before we address Bitcoin mining pools and the best ones out there, let’s first take a look at that cryptocurrency mining pools are and how they fit into mining as a whole. As cryptocurrency mining has become more saturated and competitive in the last few years – lower rewards at virtually the same computational costs – mining pools offer a viable option for miners looking to “pool” (combine) their mining resources with other crypto miners to split rewards in a specific way. So, what exactly at cryptocurrency miners pooling? Cryptocurrency miners are pooling (sharing) their computational resources and processing power. Doing so enables them to cut down on the overall cost it would take to mine a block, and sanctions them to survive longer during bear markets. Let’s take a look at several of the reward schemes which are employed by mining pools to reward crypto an BTC miners. Pay-Per-Share (PPS) – Provides miners a guaranteed and instantaneous payout in respect to their overall contribution to the mining pool. Miners will receive their payment from the mining pool’s existing cryptocurrency or Bitcoin balance, meaning they can withdraw it immediately. Pay-Per-Last-N-Shares (PPLNS) – Calculated according to the number of last shares, rather than the shares of the last round. Proportional – Miners will receive shares when searching for a block, and then will receive their respective payout in proportion to all of the shares of the recent mining round. Keep in mind that proportional shares are only awarded at the very end of the mining round. Geometric & Double Geometric: Two popular methods whereby crypto miners are rewarded the same amount of crypto or BTC regardless of when they participate (geometric) and where crypto miners generate a growing scoring to determine their respective crypto payouts (double geometric). Now that we’ve walked you through what mining pools are and the various reward schemes associated with them, let’s take a look at what Bitcoin mining pools are and some of the most popular Bitcoin mining pools in all of crypto. As its name implies, a Bitcoin mining pool is a mining pool where miners “pool” their computational and energy resources to collectively mine BTC. Bitcoin mining pools are extremely effective for miners looking for more stabler and faster BTC payouts, and for reducing variance and costs associated with solo mining. Additionally, mining Bitcoins by yourself can create excessive noise, heating issues, and require frequent maintenance. Some have compared Bitcoin mining to having your own personal mini jet-engine running 24/7. So, what features should you look for when selecting a cryptocurrency or Bitcoin mining pool? The pool’s overall payout yield. Now, let’s take a look at three of the best and most popular Bitcoin mining pools in today’s blockchain ecosystem. There’s definitely no shortage of BTC mining pools in today’s mining-sphere. We do however recommend first time (and new) miners to first look at mining pools with large user bases and low fees. Always keep these three things in mine when choosing a mining pool: the pool’s functionality, size, and trustworthiness. Choosing a Bitcoin mining pool that emphasizes and embodies all three will help protect you and your rewards from future hassle and headache, due to being able to recognize better payout times and loads. AntPool is owned and operated by Bitmain Technologies (the titan and world’s largest designer of ASIC mining chips). It is typically at the very top of the list for miners looking for a reputable and effective Bitcoin mining pool. AntPool is tried and tested as well, and has been around since 2014. Furthermore, it mines roughly 25% of all BTC blocks. Note that there has been some controversy surrounding AntPool, as there was a purported malware inclusion in the mining equipment sold by Bitmain. However, such claims were ultimately denied by them. Just make sure to approach Bitcoin mining pools with realistic expectations, because as we’ve seen, the market is no stranger to volatility and variance (positive and negative). BTC.com is the 2nd largest mining pool to have produced the maximum number of blocks in the Bitcoin mining ecosystem over the last year or so. Most notably, it has generated over 16.5% of all Bitcoin blocks in its tenure. While it’s newer than AntPool (has only been around since 2016), it is also owned by Bitmain, and has attracted a good share of Bitmain’s loyal following (thanks in part to AntPool). What separates BTC.com from other major Bitcoin mining pools is its employment of the full pay-per-share (FPPS) reward methodology, which has been widely hailed as extremely beneficial to BTC miners over the last few years. If you’re looking to join one of the oldest (if not oldest) Bitcoin mining pool in the blockchain ecosystem, look no further than SlushPool. Slush started all the way back in 2010, and has mined over 1 million BTC, or 1/21 of all Bitcoins in EXISTENCE. Slushpool follows a score-based method, to protect innocent parties and discourage other miners from switching mining pools during a mining round. But how? It rewards loyal miners. While BTC and ETH profitability has decreased over the years, there’s still considerable value to be extracted from it. Finally, if you’re interested in mining altcoins and other cryptocurrencies, consider multipool mining – which, like Honeyminer, uses a proprietary cryptocurrency mining algorithm to choose the most profitable altcoin to mine at present. Multipool mining is a novel and interesting way to mine altcoins in today’s mining ecosystem, as it is a mining pool which alternates between the mining of various altcoins – depending on whichever is most profitable in the present. For example, a multipool may start the day off mining A coin, but hours later decide that the block difficulty, time, and trading exchange price for B coin is more profitable – switching over almost immediately. Of course not! That would be unrealistic and plain out ridiculous. Not only would it be a waste of time, it would also be a waste of important resources. As we noted above, multipool mining is aimed at profitability, and is consistently alternating between the most profitable altcoins in the present. They are also automatically converting those mined altcoins into a core trading pair, such as Bitcoin. We also touche on above that mining BTC and ETH has decreased in its profitability over the last few years, so think of multipool as a good counterbalance to that. It enables miners and participants to receive larger payouts, due to the original mining of a more profitable coin. Some proponents of multipool mining have stated that multipools and their instantaneous conversion to BTC and other core actors may ultimately be what drives the mainstream need and demand for a coin. They also note that it can act as a market stabilizer as well. You can take a look at some of the coins this popular multipool offers. Head on over to https://www.multipool.us/ for a better look and understanding. Blockchain SEO Crypto Tip: We recommend investing in projects you find personal utility in. Or projects which you recognize help solve and remedy an otherwise flawed industry or mechanism. Make sure to read up on a project’s fundamentals, goals, team driving it, and its white paper. Finally, while this may seem like common sense, you cannot actually join an Ethereum mining pool and receive rewards in BTC, as they both support completely different hashing algorithms. While BTC mining isn’t for everyone, it still is an extremely popular and viable way to increase your Bitcoin and crypto portfolio, all while helping secure the Bitcoin network and blockchain ecosystem. It’s not that far off to say that Bitcoin is likely the most controversial crypto in today’s cryptosphere, as it has divided several core developers and proponents, and ultimately split the community into several factions. However, no matter the controversy surrounding it, it has still remained at the top in terms of market capitalization, making it a popular choice for mining. Mining cryptocurrencies and BTC is at the very epicenter of blockchain’s ethos, as it literally enables its users to be the very force which drives the network and helps it grow. If you aren’t able to purchase or build your own Bitcoin mining rig, don’t worry. There’s plenty you can do to earn extra crypto and BTC. We recommend checking out bounty programs, or downloading Honeyminer! Mining is just one of countless ways for your to extract value from this vast ecosystem. Below are several supplemental Bitcoin mining resources and documents to assist in your BTC voyage. What is Bitcoin? Everything You Need to Know About Bitcoin, Explained: a comprehensive guide by Daniel Frumkin on literally everything there is to know about BTC. This should be your go-to-guide for everything Bitcoin. Best Bitcoin Hardware Wallets For 2019: a thorough guide recommending three hardware wallets you should be using to store your BTC in. Specifically, we tackle Ledger, Trezor, and CoolWallet, and the benefits of cold storage. What is Honeyminer? Mining Bitcoins For Free: a deeper look at how to mine Bitcoins for free with this proprietary mining algorithm software. We walk you through the profitability of Honeyminer, and how to exactly get started. Top 5 Best Bitcoin Faucets For Free Bitcoins in 2019: while not related to BTC mining, BTC faucets are another great way to earn micro-payments of Bitcoin (called Satoshis). In this post, we walk you through 5 of our favorite Bitcoin faucets and their potential yields and earnings. Bitcoin.org: the most comprehensive of all websites for Bitcoin. This site tackles necessary resources, to how to purchase BTC, to the most frequently asked questions about the Bitcoin Network, to where to store it. Bitcoin.org has almost everything you are looking for that is BTC related. Bitcoin’s Original White Paper: this is Satoshi Nakamoto’s 9-page vision of a P2P electronic cash system which remains distinct from centralized banking institutions and censorship. Give it a read yourself, and we’d love to hear your thoughts about whether you think Bitcoin or Bitcoin Cash is the true form of what Nakamoto envisioned. Bitcoin Reddit: a popular subreddit dedicated to information and basic questions concerning Bitcoin. Bitcoin Mining Reddit: another popular subreddit for everything BTC mining. After all, this piece is about how to mine Bitcoin and we’re positive we didn’t cover everything! Bitcoin’s Github: a repository and forum for all the necessary technical documentation and information about Bitcoin, enabling viewers to see just what BTC developers are doing and the impressive commits they are making to the network. Bitcoin Blockchain Explorer: a must-use website for anyone looking to track their BTC transactions and blocks. It also boasts analytical charts and information about Bitcoin. CoinMarketCap: the most popular cryptocurrency tracking tool and website for users and investors looking to stay up to date with their favorite cryptocurrency’s prices and market cap. As we noted above, it’s pretty clear Bitcoin is not going anywhere anytime soon, as it is at the core of today’s crypto market, and rolling out some of the biggest and most aggressive commits of any project in all of blockchain. We at Blockchain SEO, wish you safe and secure HODL’ing, and hope you continue to keep up with our cryptocurrency blog for all the latest blockchain news, updates, and informative articles. Just make sure to keep in mind when investing in cryptocurrencies and mining equipment, that there are risks and vulnerabilities associated with it, so stay proactive. And, always make sure to store your funds in a hardware wallet if you’ve accumulated more than you are comfortable losing to a malicious attack or hacker. Furthermore, make sure to follow our Medium page and Twitter for updates and real-time news. We’d love to hear any article topics you’d like to see us cover this 2019, as we’re here to bring strictly educational and informative content to newcomers. Finally, let us know in the comments what you think about mining BTC, if you’ve mined Bitcoin at any point, and any questions you may have!